As a seller you will receive your check for goods sold immediately following the sale your goods are sold in. If the sale is on Saturday, your settlement paperwork and check will be mailed to you through the postal service, regular mail, on Monday. If you do not receive your payment within five working days, please call us. 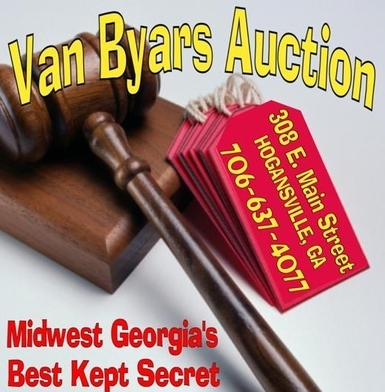 We sort and lot items you have consigned to us in order to receive the highest bid from the buying audience. We work very hard in photographing your items and placing them on several websites to give maximum viewer coverage. When you contract us to sell for you, we share information on many social media networks in order to inform as many people as possible that the item is up for bid. 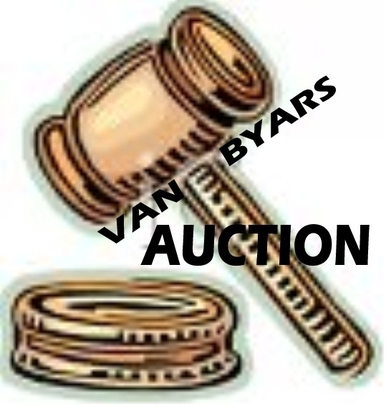 VAN BYARS AUCTION . GIVE US A CALL TO DISCUSS YOUR SELLING NEEDS. 706 637 4077.